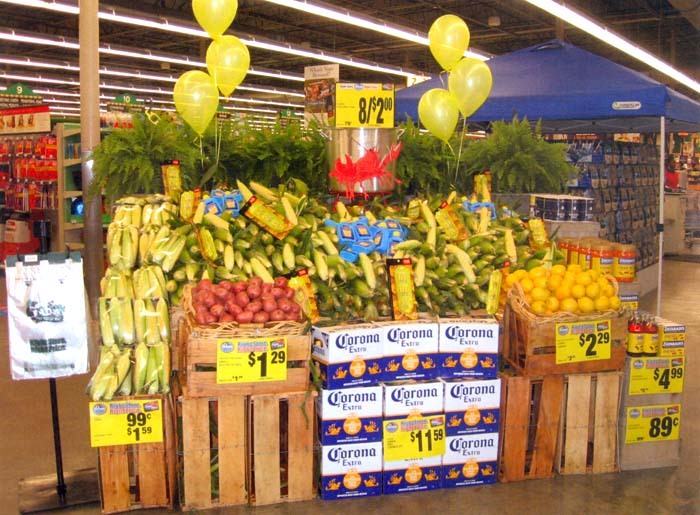 Attractive displays attract sales. 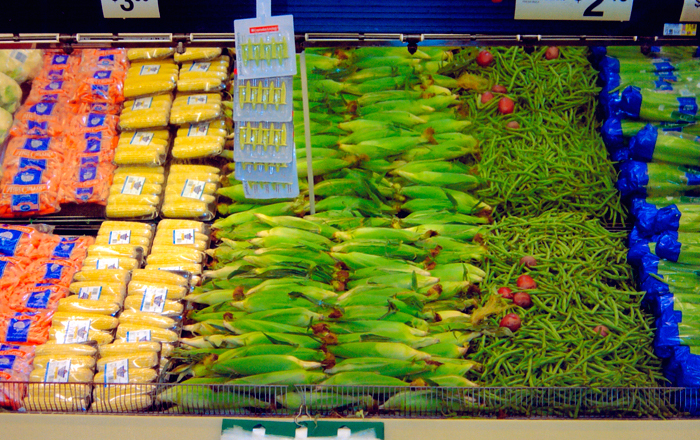 See what savvy produce managers are doing to build displays that move corn. 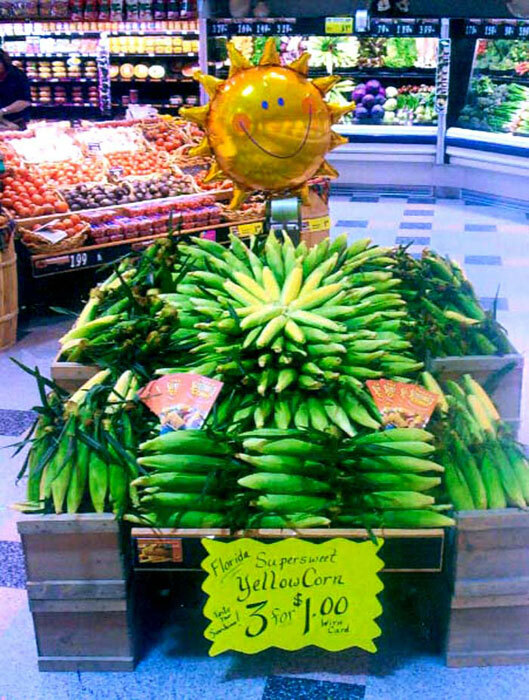 Discover more merchandising tips with these resources. 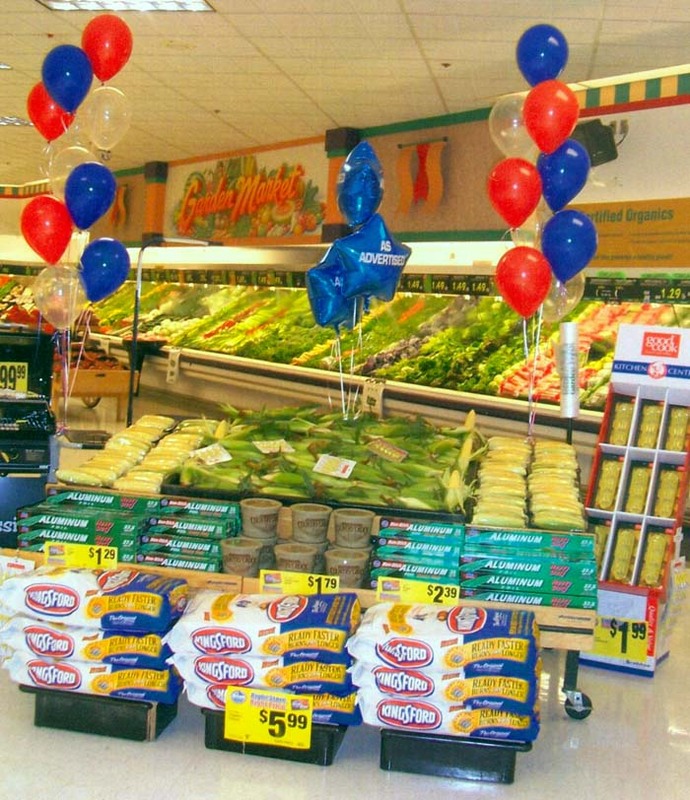 …and take advantage of free POS materials. …and for holidays, like Cinco de Mayo and Easter. 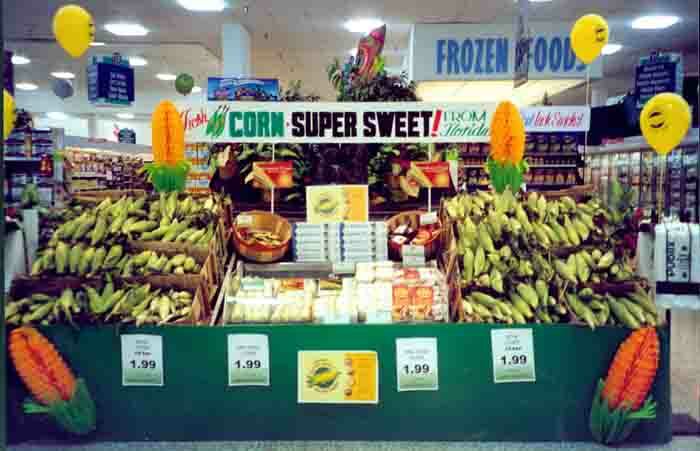 …and in refrigerated cases whenever possible. 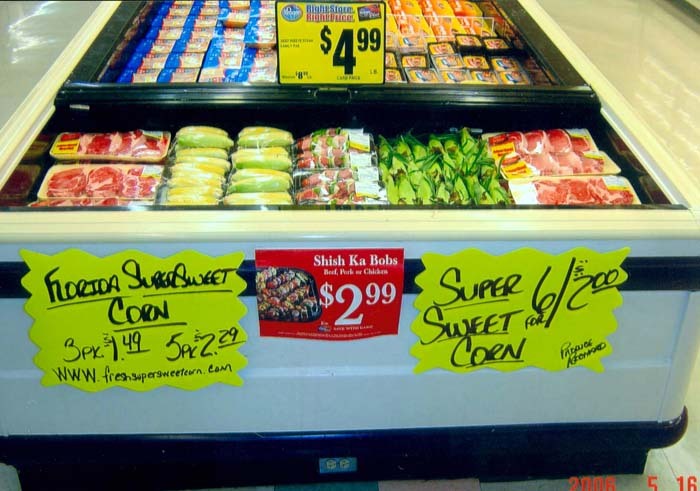 Corn in the meat cooler? You bet! 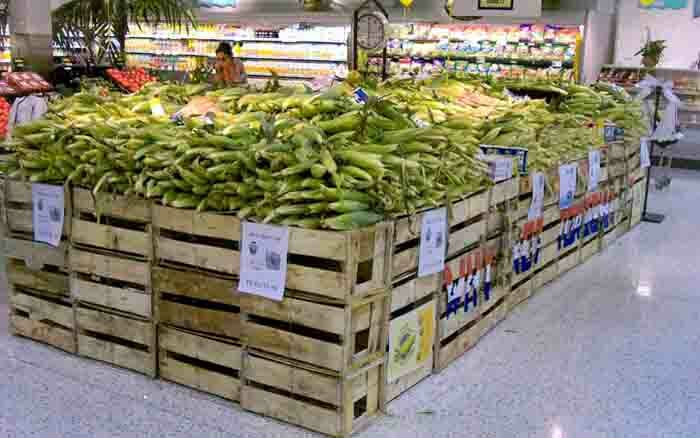 But nothing hints of summer like stacked crates of corn. 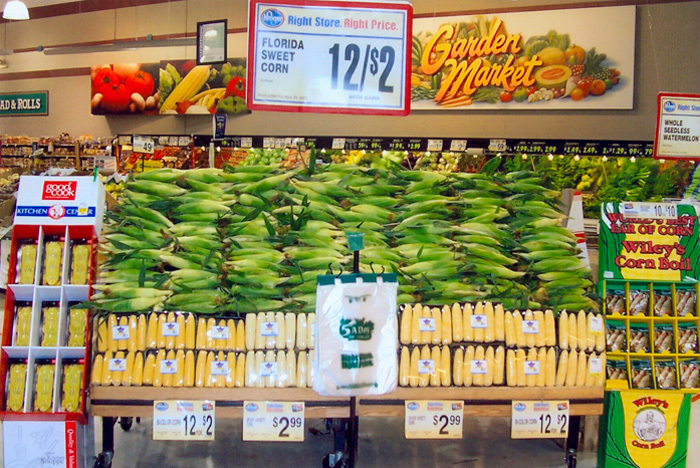 Sunshine Sweet Corn Farmers of Florida produce about 480 million cobs each year.